The crowded credit card lineup at American Express is about to get even more jam-packed. Coming soon to a wallet near you will be the “Amex EveryDay Credit Card,” which sounds an awful lot like the Blue Cash Everyday credit card, but has its own unique qualities. The main difference is that the Amex EveryDay card relies upon the company’s Membership Rewards program, as opposed to simply giving you cash back. That means those points can be transferred to partner airlines, which may give them a lot more bang for your buck. Additionally, the EveryDay card comes with a 20% point bonus when you use the card to make at least 20 purchase transactions per billing period. In other words, American Express wants you to make this your credit card of choice for everyday transactions, hence the name. They probably make more money via a higher number of swipes as opposed to a few big ticket purchases. Aside from the 20% bonus for 20+ transactions, the non-preferred version of the EveryDay card comes with 2x points at U.S. grocery stores on up to $6,000 in annual purchases (not at Costco). So if you spent $6,000 at grocery stores annually, and always made 20+ transactions each month, you’d earn 14,400 rewards points. Put another way, that’s 2.4 points per dollar spent on groceries. And there is no annual fee on this puppy, making it a solid choice for someone looking to save some coin. The “Amex EveryDay Preferred Credit Card” offers a more impressive 3X points at U.S. supermarkets (up to $6,000 annually), 2X points at U.S. gas stations (with no apparent limit), and one point per dollar everywhere else. Additionally, you get a 50% bonus on points if you use the card 30 or more times in a billing period. Using our example from above, you’d earn 27,000 rewards points each year, or 4.5 points per dollar spent on groceries with the 50% bonus factored in. However, there is a $95 annual fee for the preferred version of the card. And it is NOT waived for the first year, unlike many other credit cards. For the record, the American Express app has been updated to allow cardholders to track their monthly number of transactions more quickly and easily. Aside from the great bonus points potential at grocery stores, the new credit card also comes with smart chip technology, which just about every credit card will have within the next year or so (see the gold chip on the left side of the card pictured above). This means you’ll be able to use your card more safely, though Amex EveryDay Card holders get the company’s “Fraud Protection Guarantee,” meaning you won’t be responsible for fraudulent charges regardless. The Amex EveryDay card is also a straight-up credit card, as opposed to a charge card, meaning you can carry a balance each month. And for the first 15 months, American Express is offering 0% APR on both purchases and balance transfers. There is no balance transfer fee if you complete the request in the first 60 days from account opening, which is a great deal and well below the typical 3% charge. Is Blue Cash a Better Deal than Amex EveryDay? At the end of the day, you have to wonder if the Blue Cash cards aren’t a better deal, especially the old Blue Cash. For example, the standard Blue Cash EveryDay card has no annual fee and offers 3% cash back at grocery stores, not to mention 2% cash back at gas stations and select department stores. 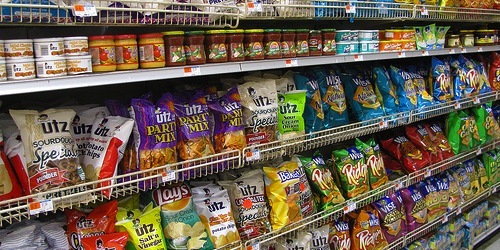 The preferred version offers 6% cash back at grocery stores and 3% in the latter two categories. So the only real benefit of this new card, other than the smart chip technology, is the fact that you can earn points instead of cash, which could be stretched further when used for travel. 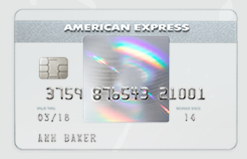 Opening bonus: The non-preferred version of the Amex EveryDay Credit Card comes with a 10,000 Membership Rewards point bonus if you spend $1,000 in the first three months (the preferred version offers 15,000 bonus points for the same spend). This seems really redundant to the existing EveryDay card, but I guess some people like to earn points and some people just want cash back. It’s just getting confusing with all these cards! I see there is a waiting list for this credit card. Do you know when it’s being released to the public? The person who accepted my application told me I was approved for a $7500 credit limit. I told her the only reason I was applying was for a 0% APR balance transfer of $3000 for 15 months. When I actually got the card, however, it said my balance transfer was denied because it was more than 50% of my credit limit (which the balance transfer denial letter said was $7500). When I called and talked to someone about this I was told that my credit limit was actually $2000. I immediately cancelled my card and went with the Citi Simplicity card and transferred the entire $3000. That’s too bad…was it an error or did the person misspeak? Am I better off getting Membership Rewards points or cash back? Thanks! If you have plans to travel, the MR can be very worthwhile for transferring to airlines. If not, I’d opt for the cash back in your pocket.